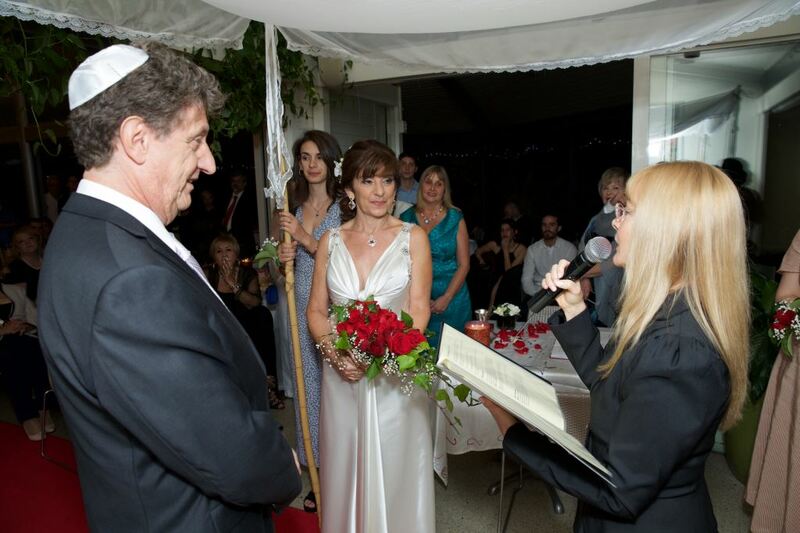 For a Jewish wedding ceremony – An experienced reliable Jewish Civil Marriage Celebrant bringing a passion for all ceremonies. 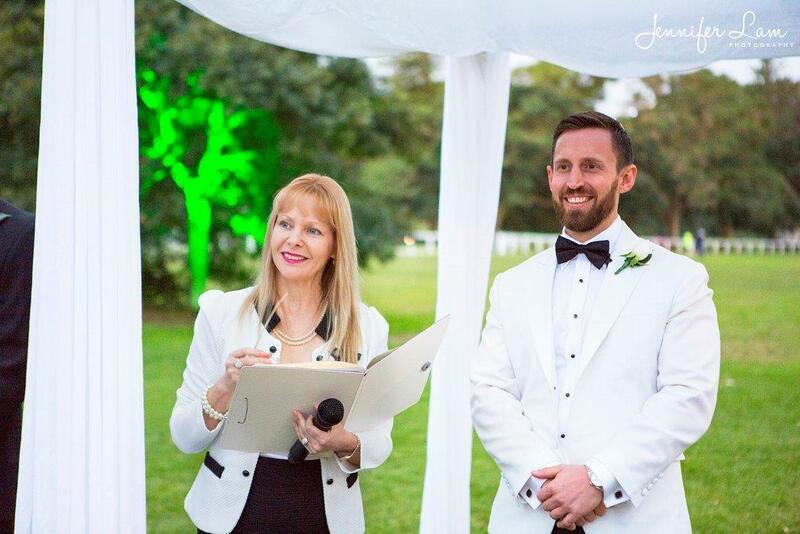 A marriage celebrant with a caring approach, wealth of experience in unique, meaningful and memorable ceremonies. 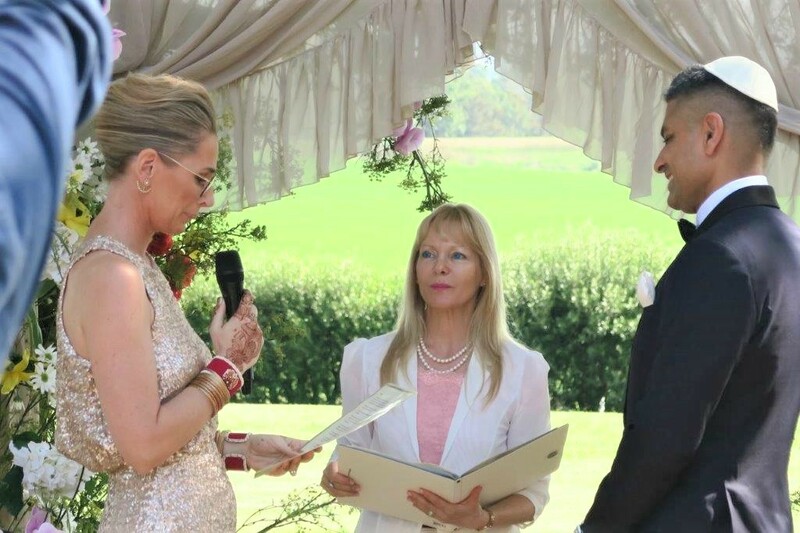 You will receive a personalized meaningful civil wedding ceremony which will reflect your believes & tradition to the extent that you want. 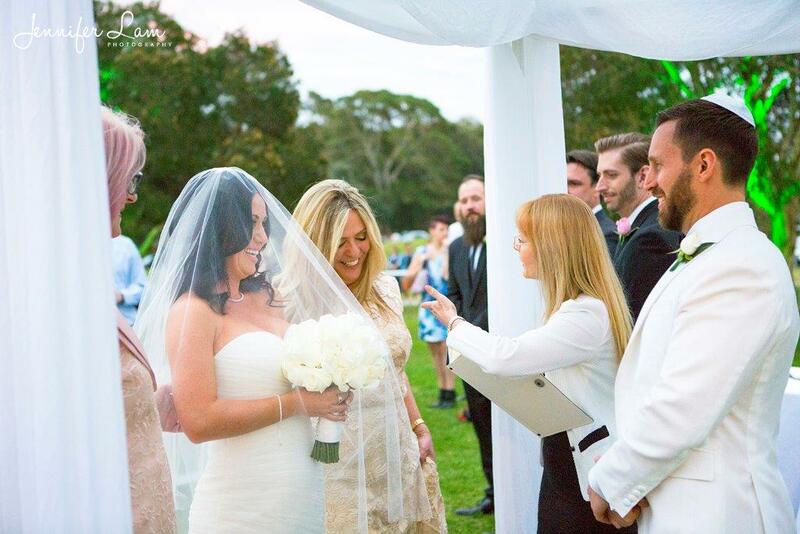 Your wedding ceremony can be as secular or religious as you choose it to be. 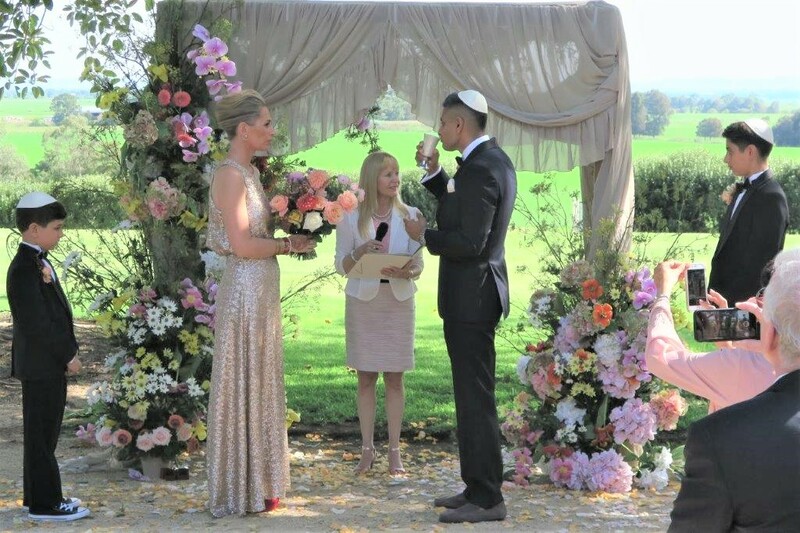 Being a Jewish civil marriage celebrant, we can incorporate any of the traditional customs, have the verses read in both Hebrew and/or English and create a civil wedding ceremony meaningful to all involved. 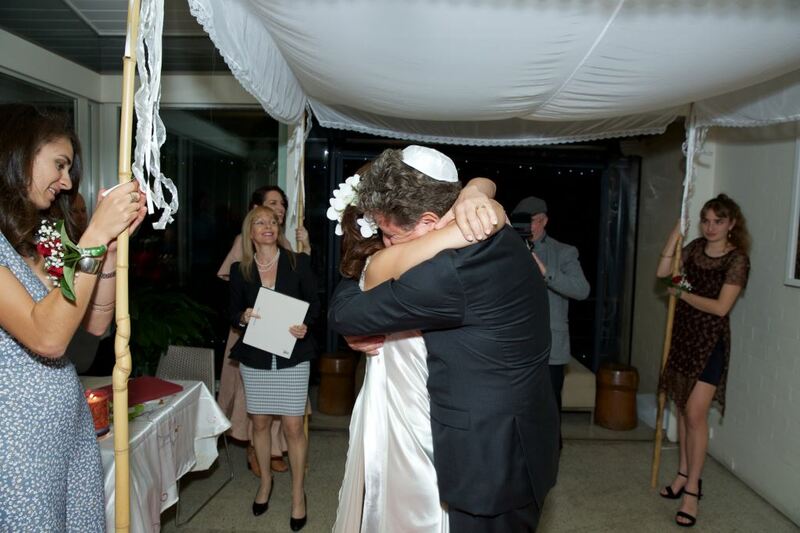 Contact today to discuss and plan your special Jewish/interfaith wedding ceremony. 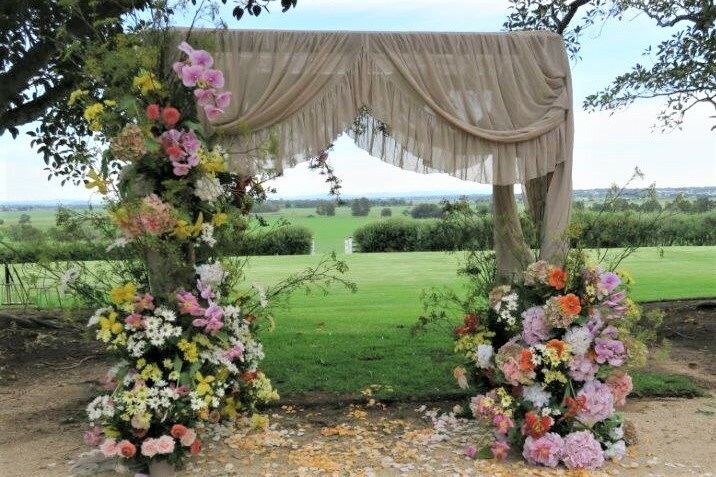 The Chauppah – The wedding ceremony takes place under the chuppah (canopy) hence symbolizing the bride and groom creating a home shared by the couple which will always be open to guests. 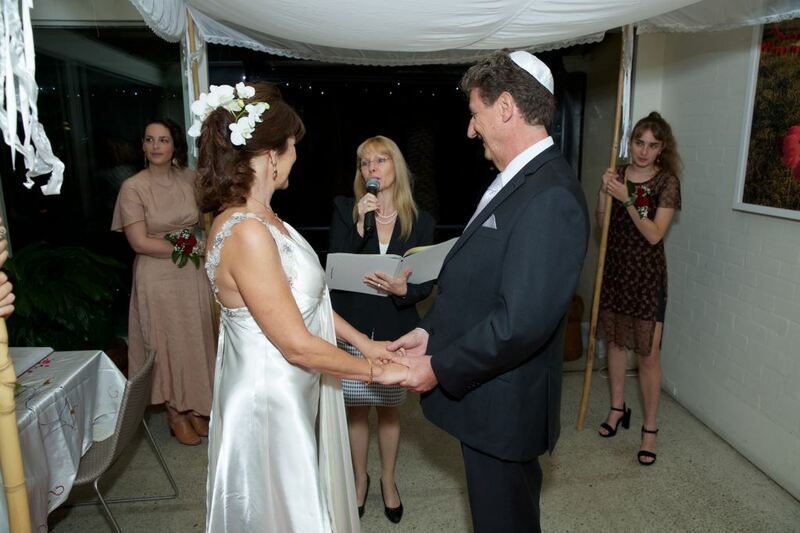 The Seven Circles – Under the chuppah, the Ashkenazi custom is that the kallah(Bride) circles the chatan(Groom) seven times. 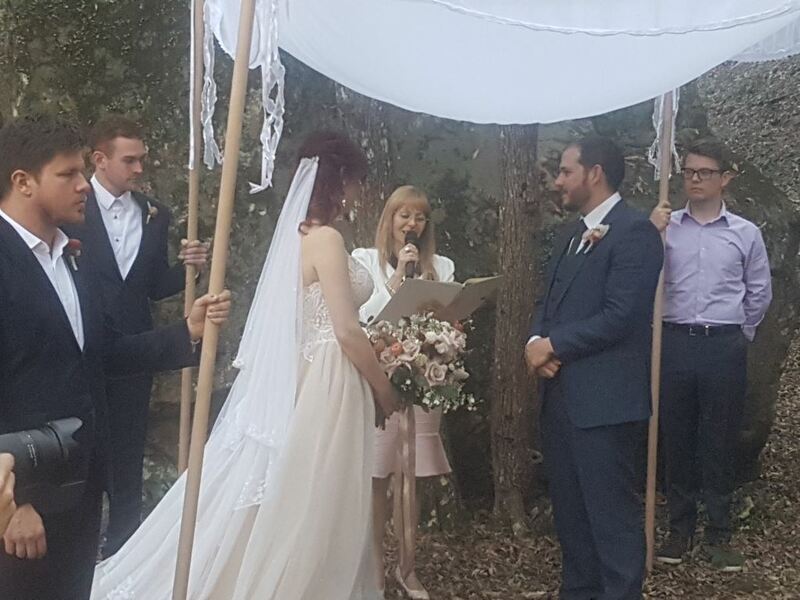 So just as the world was built in seven days, the kallah is figuratively building the walls of the couple’s new world together. The number seven also symbolizes the wholeness and completeness that they cannot attain separately. 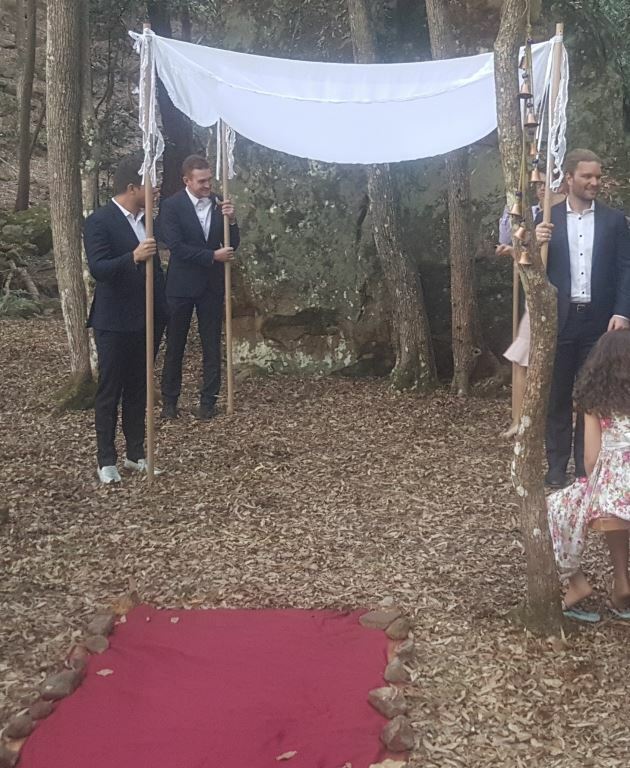 The Kiddushin – The kiddushin (betrothal ceremony) takes place under the chuppah. 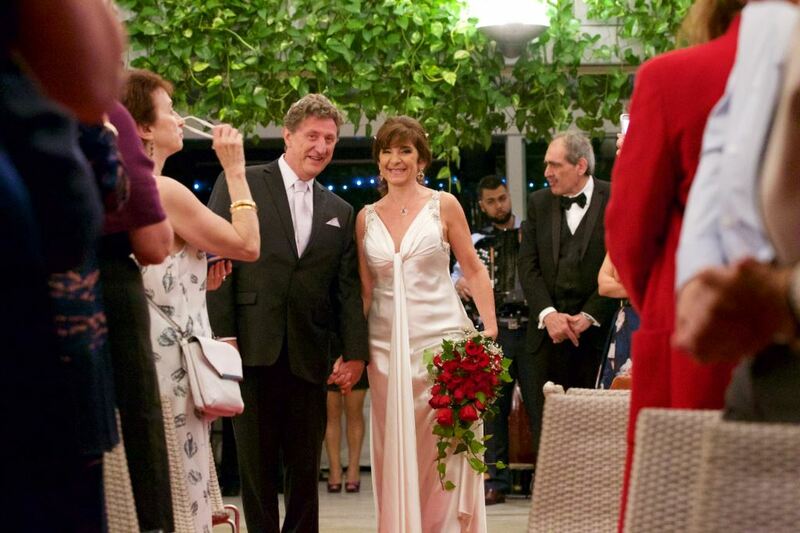 It begins with greetings, a blessing over the wine, and a sip taken by the bride and groom. We associate the wine, a symbol of joy in Jewish tradition, with the Kiddush, the sanctification prayer is recited on Sabbath and festivals. Hence, Marriage, the Kiddushin, is the sanctification of a man and woman to each other. 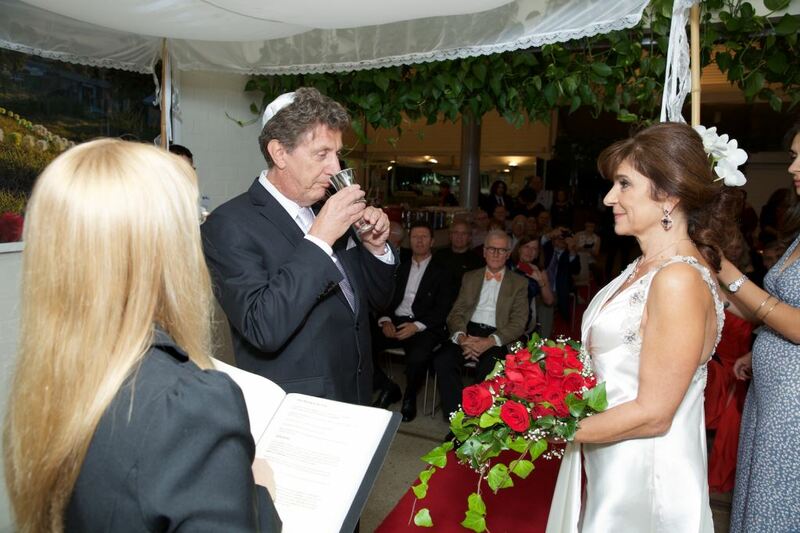 Giving of the Ring – In Jewish law, a marriage becomes official when the chatan gives an object of value to the kallah. This is traditionally done with a ring. 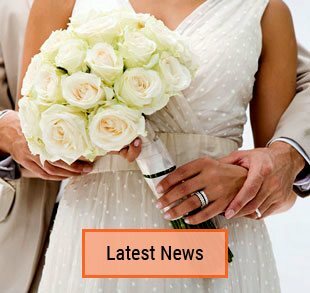 The Seven Blessings – The concluding portion of the marriage ceremony is the seven blessings. We can call upon several different people to recite these blessings. They acknowledge G-d as the Creator of mankind, joy, bride and groom. In addition, they also praise G-d for having created man in His image, and for giving him the ability to reproduce that image. Therefore, we recite these blessings at weddings, since it is only then that the couple begins life as complete human beings. Upon completion of the blessings, groom and bride drink from the cup. 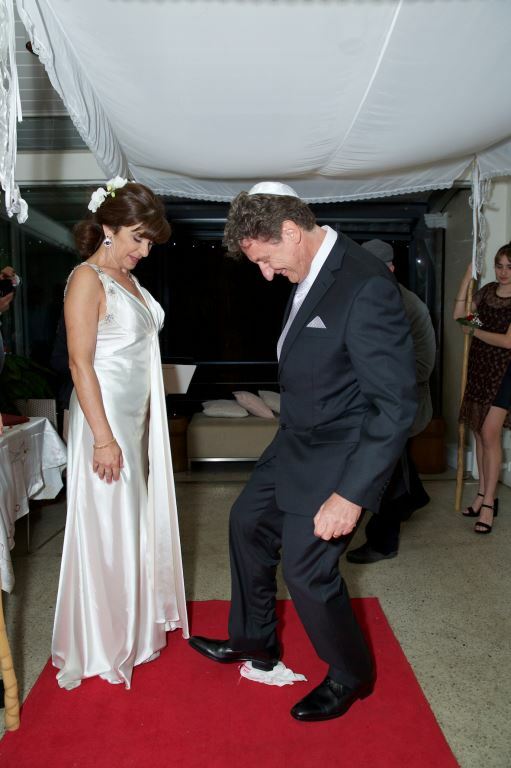 Breaking the Glass – At the conclusion of the blessings, after the couple drinks from the second cup, the groom breaks the glass with his right foot, as an additional remembrance of the destruction of the Holy Temple in Jerusalem. 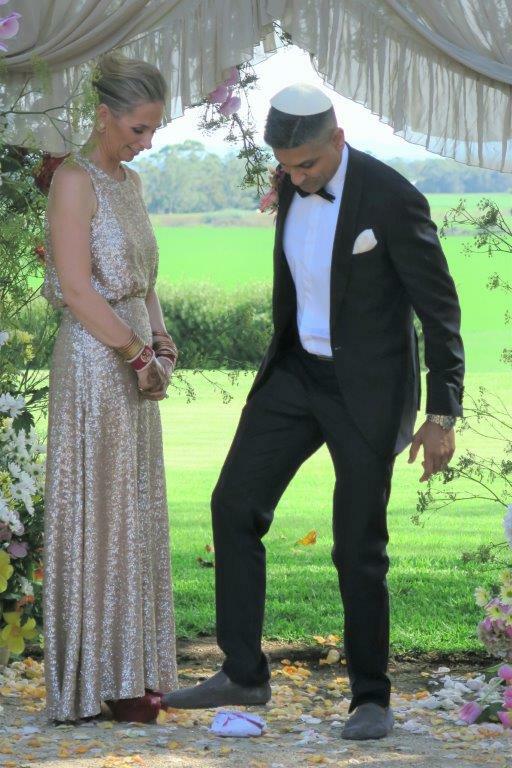 We look at this act as a reminder of how fragile marriage is, also another interpretation is that the marriage will last as long as the glass is broken– forever. Featured on Hello May blog. Contact me for an obligation- free meeting, or if you just want to discuss your wedding ceremony. 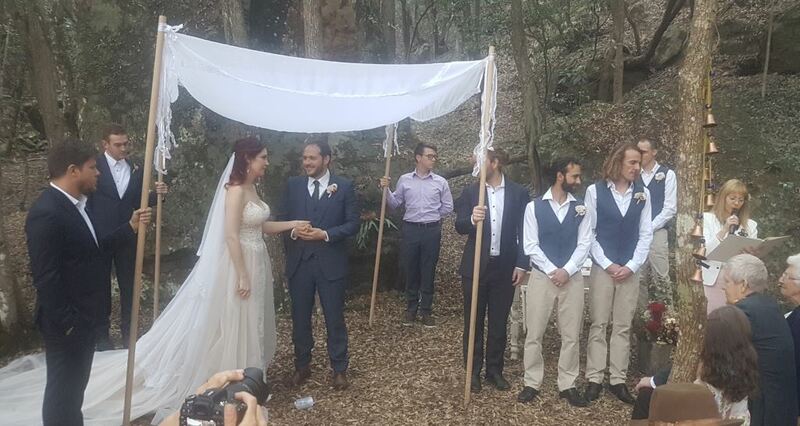 Thank you so much for your part in making yesterday such a wonderful wedding celebration not only for Eran and Jasmin but for Yehuda and myself, both the families and friends. 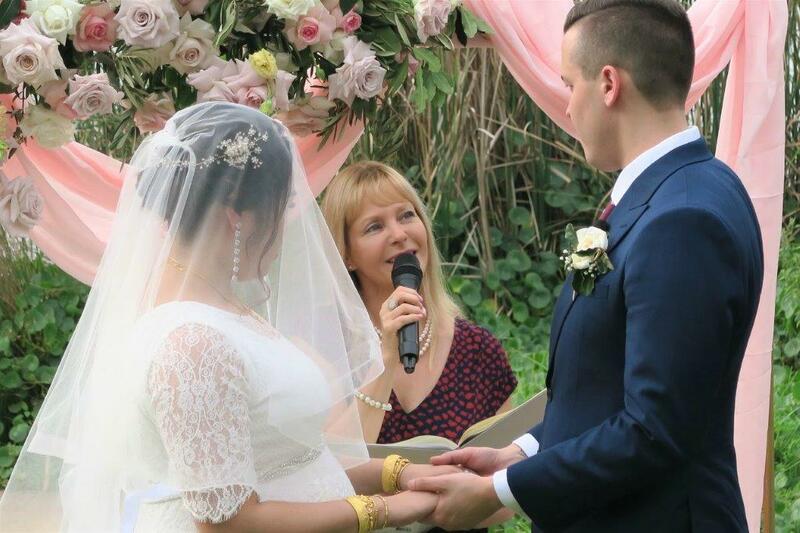 I am so pleased that Jasmin and Eran found you! 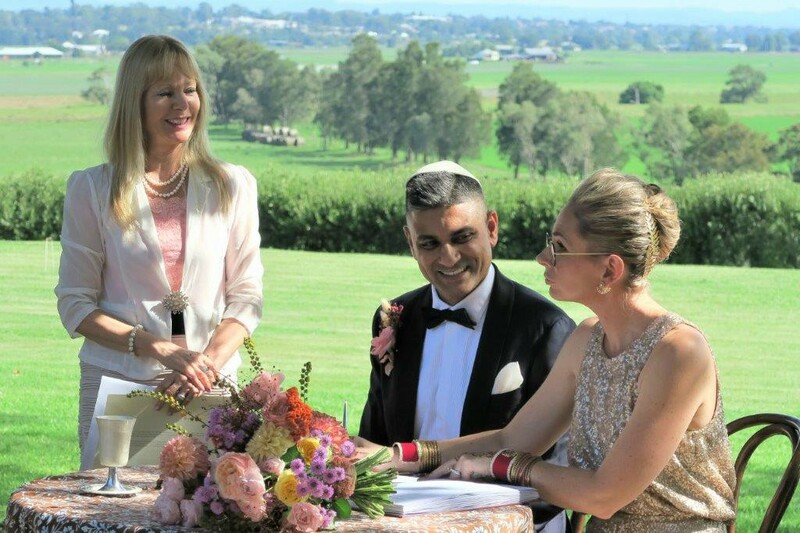 As I went through the text with Eran and Jasmin before the wedding, I was impressed by the thought, care and love you have put into it, with the flexibility for each couple to add their own touch. 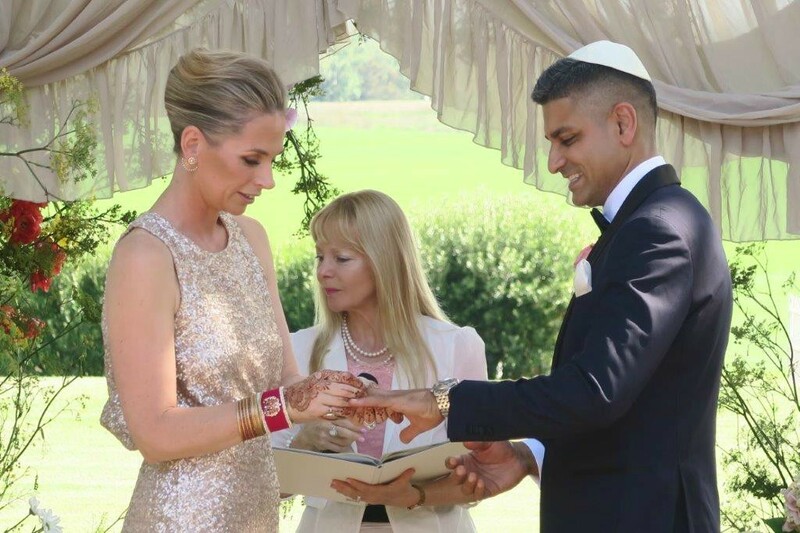 The ceremony was perfect – every word meaningful with a beautiful explanation of the rich symbolism of the Jewish wedding traditions which made everyone feel included, and a respectful intertwining of the two cultures. Your warm and engaging delivery made it very personal, unique and memorable. 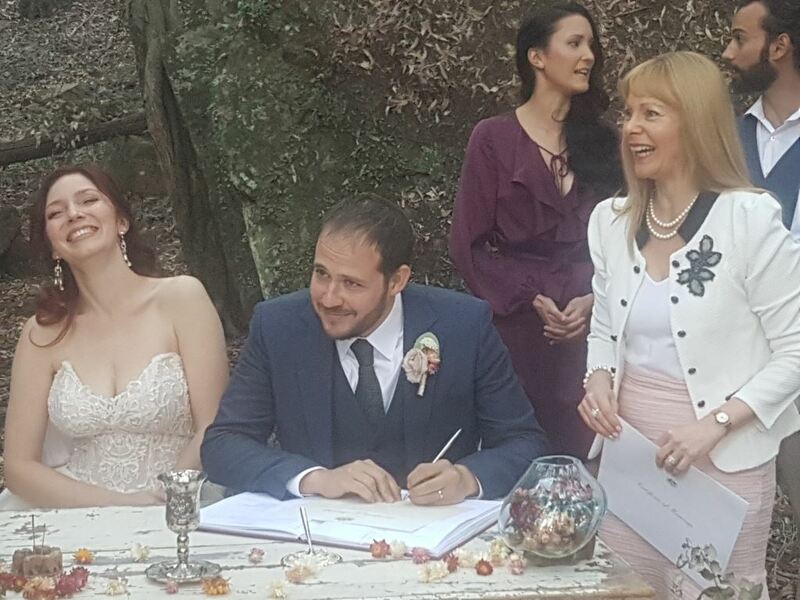 We have had so many positive comments from guests, both Jewish and non-Jewish, as to how interesting and enjoyable the ceremony was. One even commented that many a rabbi could learn a thing or two from you! Keep up the good work and I will certainly be recommending you should the occasion arise. 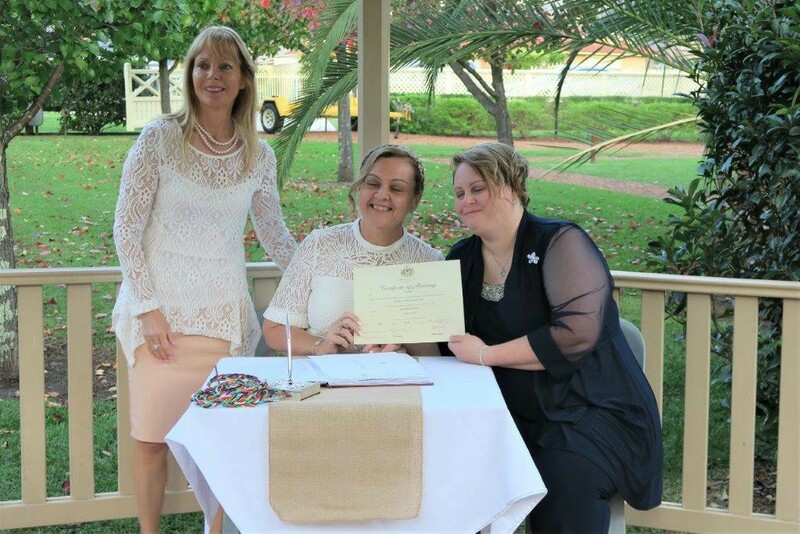 We loved working with Orna as she made the whole process so simple and easy. 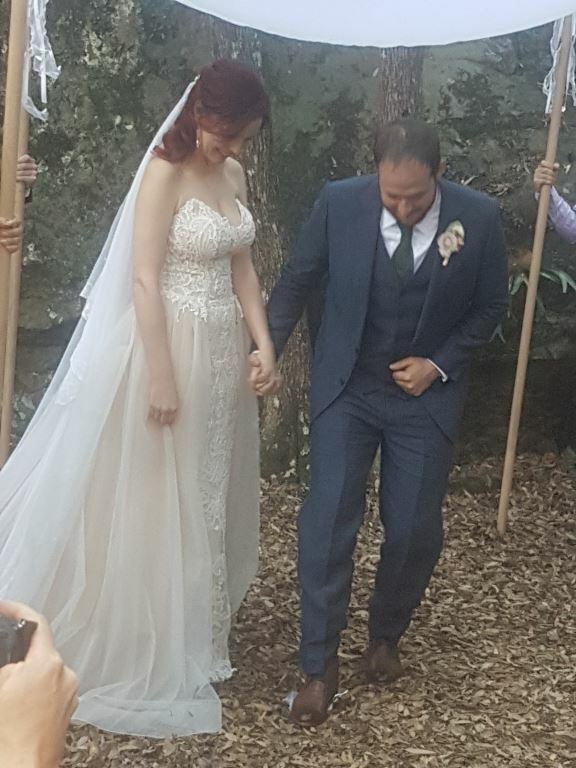 So the script for the ceremony was tailored the way we wanted and we were able to combine elements from both our cultures to create an experience that was uniquely us. 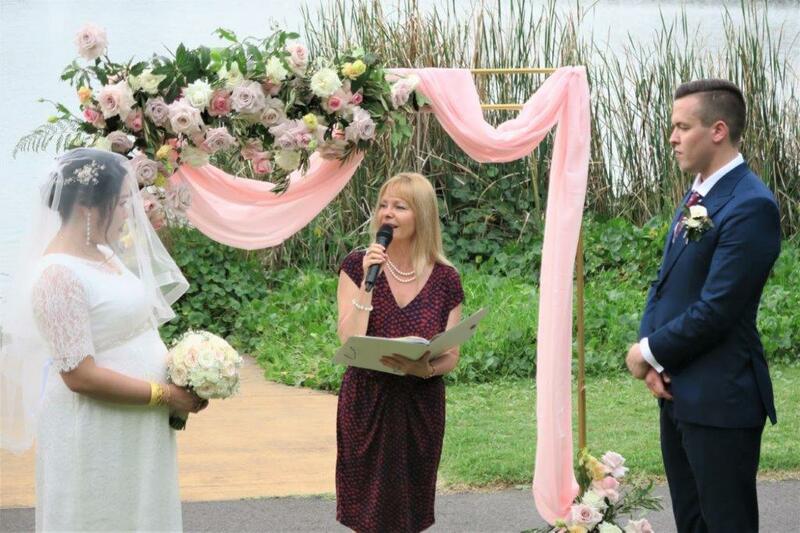 Thank you Orna for helping make our day special and memorable. 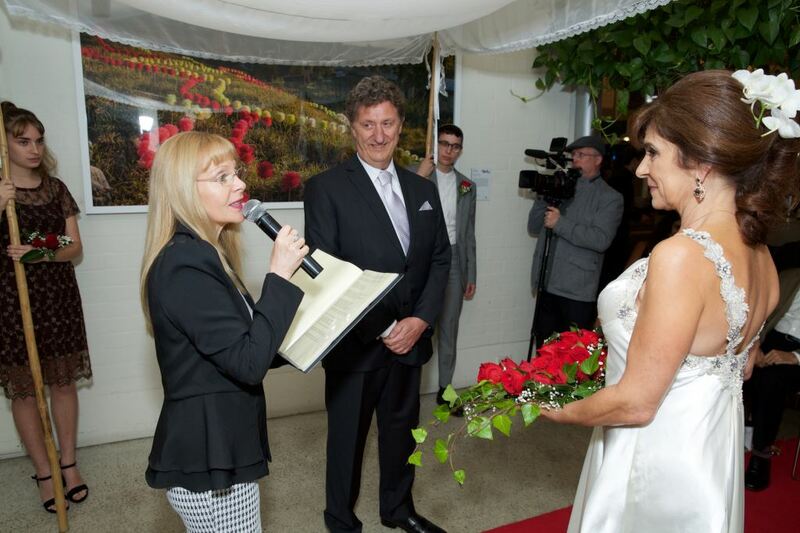 I do not know how to adequately express our gratitude and appreciation for your dedicated services to our wedding. You were absolutely magnificent, not only on the day itself but especially from the moment of our first meeting and became our guide through the process of learning and adopting our Jewish service for our situation. You were always there for us, and with such warmth and confidence. As well as always being completely open to all our suggestions/recommendations and questions. 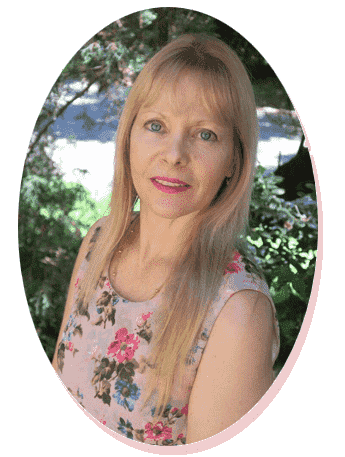 In the end, we had the script that truly reflected who we are now – a mature couple (seniors in fact) deciding to formalize an existing relationship. You particularly helped my now husband John feel comfortable with the Jewish components of the service. So in particular, you made all our guests present at the service understand and feel carried through its intricate detail which was unfamiliar to the majority. I felt so proud to stand under your Chupah and watch you guide John, especially with the breaking of the glass. 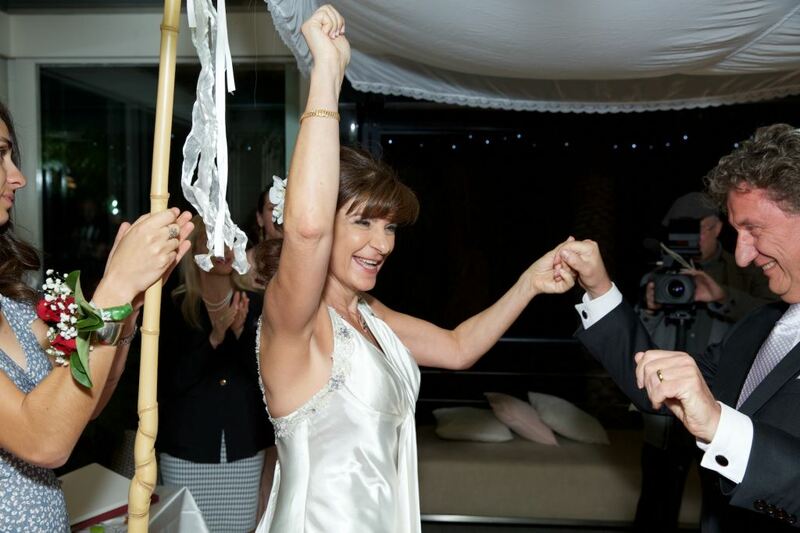 Your calm inner-strength enabled us to walk forward with confidence into our married life. Thank you.